Diving for crayfish, or lobster, in the small fishing village of Kommetjie, just forty-five minutes from the centre of Cape Town isn’t as difficult as it sounds and you and your family and friends can enjoy your private self-catering holiday experience even more when you catch your own delicious, salty crayfish from the waters surrounding your exclusive Kommetjie accommodation this season. The Kommetjie waters are abundant with the little critters and the tiny town is renowned for its delicious yields of the stuff. There’s even an annual crayfish festival that takes place and tourists and locals flock to the events at various pubs and restaurants in the village to celebrate with garlic mayonnaise and a cold draught. 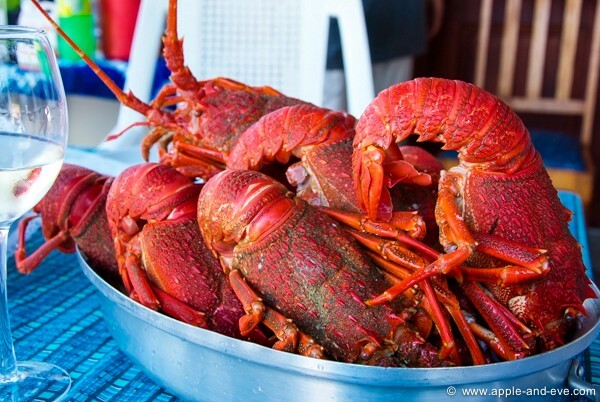 Kommetjie crayfish season begins in November and ends in the middle of April (i.e. runs for Cape Town summer). You are forbidden to catch crayfish using scuba gear, only snorkelling is permitted. Eager candidates should be comfortable with basic snorkelling practices before attempting to dive for crayfish. You will need a crayfish diving permit or license and can obtain this from the local Post Office. Phoning first is always advised as not all post offices provide the permits. You may need to travel to another office in Cape Town. A wetsuit: You will need a 5mm long john and 5mm top as well as a hood and gloves. Booties are optional but the rocks can be sharp and slippery. All of this equipment can be hired from Orca, Claremont at reasonable prices. Depending on the location of your Kommetjie accommodation, you can choose between inner and outer Kom, the crayfish factory closer to Scarborough, Misty Cliffs in that vicinity, Cape Point nature reserves or even spots closer to Noordhoek. 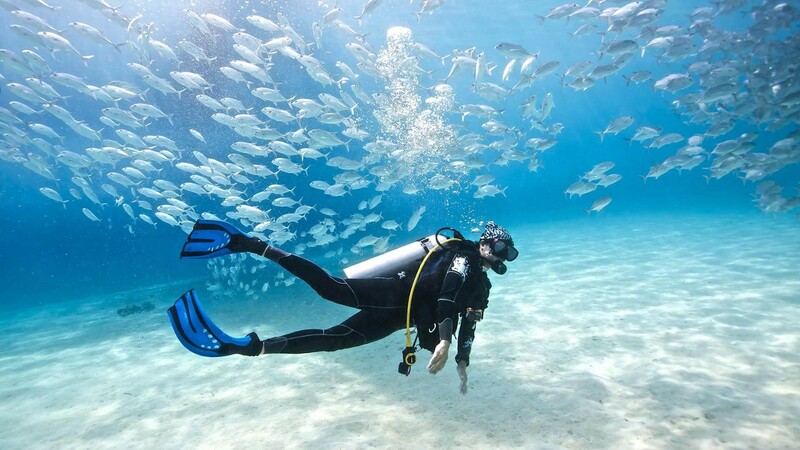 Remember to fill the place and time of your dive in on your permit card before you set off. Deciding where to launch is the toughest part but ask the locals and you can’t go wrong! Most dive spots in Kommetjie and surrounds are kelp hazards but it is silky smooth and shouldn’t affect your progress at all. Swim out to the spot you selected close to your Kommetjie accommodation. Snorkel around for a bit at first and then try diving down to the bottom. Kelp strands come in handy when trying to do this. You must look carefully amongst the kelp and rocks to spot crayfish but you should be able to recognise them by their feelers. They are incredibly fast so you will really have to be a ninja diver to nab one. Try and grasp the body firmly as they tend to slip away if you go for the feelers and limbs. To surface swim through a gap in the kelp. Now it’s time to measure your crayfish. If it’s too small, you must throw it back by law. Once you’re out of the water update your permit/license again by filling in the time and number of crayfish that you caught. We suggest that for your first time you don’t go alone, and instead have someone with experience show you the ropes because you need to judge the weather, tide, currents, and the entry and exit points. After all the fun and hard work, head on home to your Kommetjie accommodation to barbecue your day’s catch, crack open a cold one and get festive with friends and family.